Mike Hopkins was as kind, generous, and humble a man as you might hope to meet, and a world class sound editor/designer. Everybody who spent time with him liked him. I’m a better man for having been around him, and a better sound designer too. My memories of Mike are of a man who was at once a force to be reckoned with, forceful and explosive at times, while also being at his core so nurturing, kind, and warm-hearted. I’m still in shock at his passing. 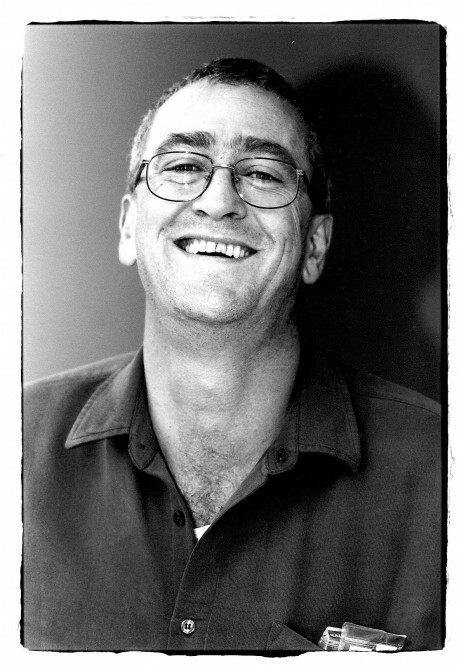 When I arrived in New Zealand to work on Lord of the Rings, Mike went far and beyond to make sure that I, and all of us who came there to work on the film, felt comfortable there. He showed us around Wellington, invited us into his home. He made us feel so very welcome there. Mike clearly gave so many people in NZ their start, and so many will remain in his debt. I took that photo back on Fellowship of the Ring, and as I was browsing through those old photos after hearing the news, immediately smiled when I saw it. I immediately remembered how Mike would tilt his head back as he laughed. And he laughed often, as did all of us who had the pleasure of working with him. A true tragedy. Mike was a big inspiration to me and many others, especially his work on The Lord of the Rings. Thank you Mike! I regret I did not know this man personally and will never be able too. As a kid, I grew up loving the Lord of the Rings movies with dreams of working on films as epic one day (Still my favorite movies and same goal). The post production parts in the extras helped inspire me to follow my passion in Sound Design. Such a talented team which looked to have had many hours of enjoyment. One day, I hope maybe I’ll be a nice sound designer who people love to work with. RIP Mike! I totally share the thought expressed by Will Stowell. Such sad news. Hoppy was a lovely guy above all else. A had few opportunities to work directly with him and my great sadness is that I never managed to catch up with him now that I have moved back to NZ. I loved the way that his stutter would miraculously disappear when with angry or pissed. He also introduced me to Guinness when I was in my early 20’s, Is that a good thing? In july of 2003, I travelled to NZ and had the good fortune of spending an afternoon with Mike. Being a HUGE LOTR fan, and sound designer/re-recording mixer as well, the films were an obsession with me. He was kind and indulgent. He was also very knowledgable and we discussed sound in great detail. His Oscar for Two Towers was sitting on his desk and he asked me if I’d like my picture taken with it. I said only if you’re in it with me. I’m so glad I have that photo sitting on my desk now. RIP Mike. Your talents will be sorely missed. Will Stowell’s comment describes exactly how I knew who Mike was. I never got to meet him, but I grew up watching the special features for LOTR over and over, to the point where I consider all of the crew stars as much as the actors. Those featurettes are the reason I’m in post production now, and it’s sad to think I will never be able to meet him and thank him for inspiring me so. Hoppy you were a generous soul in ways I’ll continue to aspire to be. Be at peace brother.